measure and assess performance and costs. CIOs, CEOs, IT Managers etc. need a variety of capabilities to apply IT Governance to an organisation. eTrack has the following powerful, practical features to support these, combined into one application. The next section shows practical examples of eTrack. Define Strategic Initiatives and Objectives/Outcomes. Map to Proposals, Ideas and existing Projects. Collate all information (eg: documents, resources, $). Quantify Benefits in real or monetorised dollars. Perform ‘what if’ scenarios to maximise ROI. View any cross section of resources and work. View existing, proposed and operational ‘lights on’ work. By Role, Person and Equipment/Material. In Hours, Days, Months, Quarters, and Time or $. Define Risks at Business, Project and Phase level etc. Track early warning signs plus mitigation and contingency plans. Quantify and track in $, and roll up to project and portfolios. Define and track KPIs and ROI over selected periods. Fully integrated with Portfolio and Project Management. Manage project dependencies. and ‘result chains’. Graphical reporting of Costs verses Benefits. Repository of regulatory and board mandated requirements. Direct integration with APLs (Application Project Lifecycles). Commercial (eg: Process MeNtOR, RUP), public domain (eg: OPEN, Prince2, PMBOK) and company specific. Support hybrid of house and commercial processes. Easily changed for continuous improvement. Strong financial cost control at all levels. Business and IT Dashboards and Traffic Light Reporting. 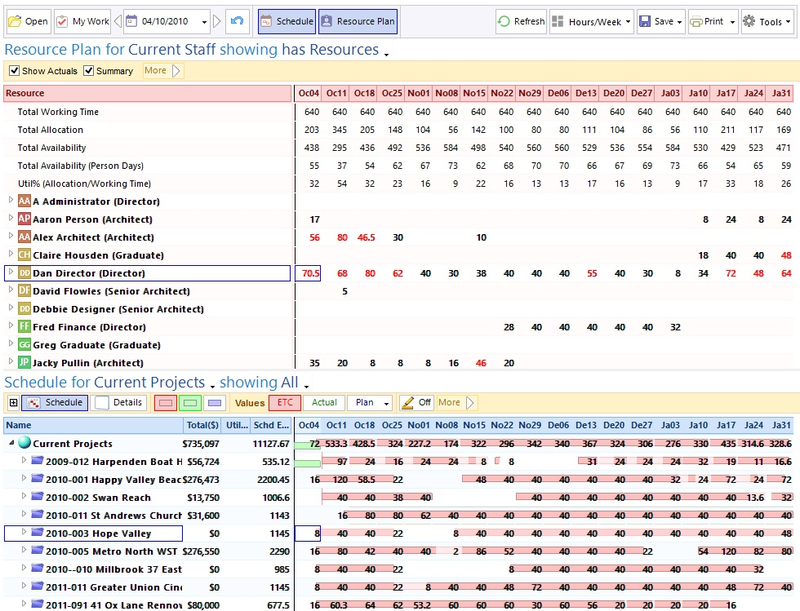 Business Intelligence (via Q4bis add-on module). Issue, Change and Risk Tracking. Billing, Invoicing and Cost Recovery. Central repository of systems/applications/products and operation/maintenance work. View combined effects of Asset and Project Portfolios. Support for change management and prioritisation. Interfaces with MS Office, Accounts, MS Project etc. With a focus on control and measurability of IT, specifically from a financial point of view, Cobit consists of 34 processes to ensure IT is aligned with strategic initiatives, realises the promised benefits, responsibly uses resources and manages risks. Control Objectives for Busines in Information Technology. Information Technology Infrastructure LibraryWith a focus on Service Management such as support, delivery and planning etc, ITIL is a set of best practice guidelines and standards for SLA, Outsourced Operations etc. Organisational Project Management Maturity ModelThe Project Management Institute’s (PMI) guide to help organisations assess and develop their ability to deliver projects successfully, consistently and predictably through Knowledge, Assessment and Improvement elements. An organisation’s equivolent to the individual’s “A guide to the Project Management Body of Knowledge” (PMBOK). Capability Maturity Model IntegrationA process improvement approach to help organisatrions improve the maturity of their processes by assessing the level of each relevant process and setting goals and priorities to improve them. eTrack is a real, practical solution for IT Governance. ‘Top down’ portfolio planning and IT Governance are completely integrated with ‘bottom up’ project management and operations tracking. View all resources, their assigned work with utilisation and availability summaries. On the same screen, view all initiatives, portfolios, projects and their dependencies, assigned resources, costs, utilisations and priorities. Perform business intelligence in real time, slicing and dicing the data and drilling down to any level. Dynamically move or selectively include projects to immediately see the effect on resources. Resource rates, costs, charges, outsourced companies etc. Embedded documents or links to files. Full financial cost control, reports and graphs. View quantified Risks associated with a Strategic Initiative, Portfolio, Program, Project, Phase etc . (see screen below). There is no limit to the tabs available and each can be customised. Please contact us for more information and to see a demonstration of eTrack’s IT Governance capabilities.